Apollo Tile II Solar Roofing - Radiant energy and brilliant looks integrated into concrete tile roofing systems. 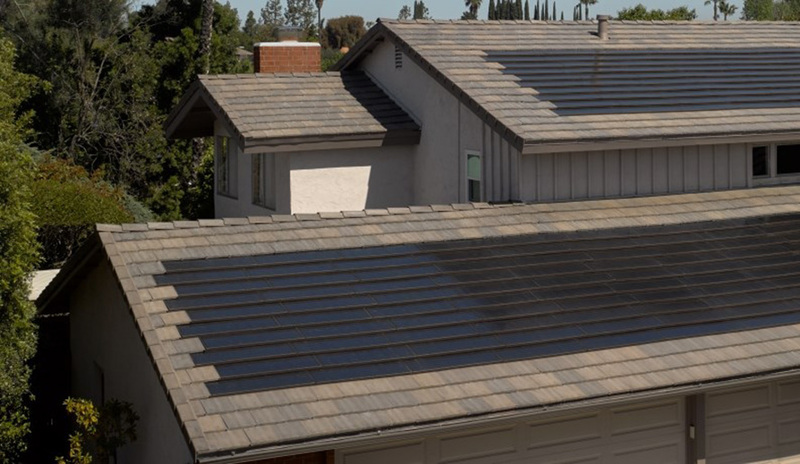 Apollo Tile II Solar Roofing System is the pinnacle of energy production, using monocrystalline silicon solar cells to capture and convert more solar energy per square foot than any other CertainTeed solution. Apollo Tile II Solar Roofing is the versatile solution for maximum power and flexibility in installation directly on new or existing roofs. Apollo Tile II generates power from high-efficiency monocrystalline solar cells mounted in arrays that produce 13 watts per square foot - more than double the output of some other technologies. That means significantly smaller arrays are needed to generate the same amount of power. Apollo Tile II makes you master of the sun with a system that harnesses more energy per square foot than any other, significantly decreasing your home's draw on the grid and reducing carbon emissions. With its maximum output potential, Apollo Tile II can generate most of all of the electricity your home uses during the day. And if you don't use all the electricity your roof makes, the excess power flows back through your meter into the power grid, causing your electric bill to go down even further. That makes Apollo Tile II Solar Roofing one of the most environmentally conscious things you can do with your home for a beautiful, ecologically-sound future. Apollo Tile II Solar Roofing modules feature 14 high-efficiency monocrystalline silicon solar cells for a power rating of 56 watts per module. Its slim profile provides a clean integrated look that a rack mounted system cannot match. Apollo Tile II modules have achieved a Class A file rating when installed in accordance with the installation manual. For more technical information specifically regarding Apollo Tile II Solar Roofing, please click on the Technical Data Sheets located to the right.